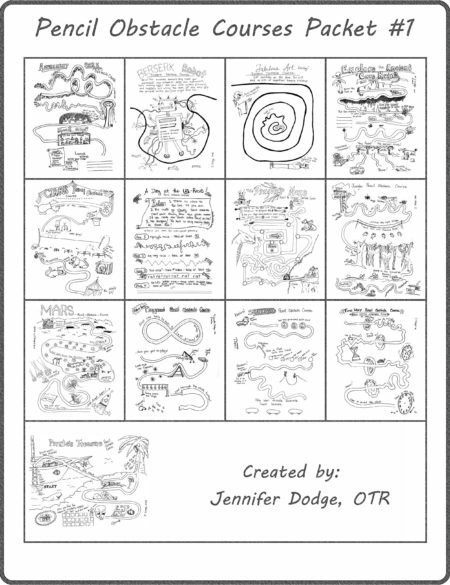 This digital document, created by a school-based occupational therapist, Thia Triggs includes fun sentence scrambles. 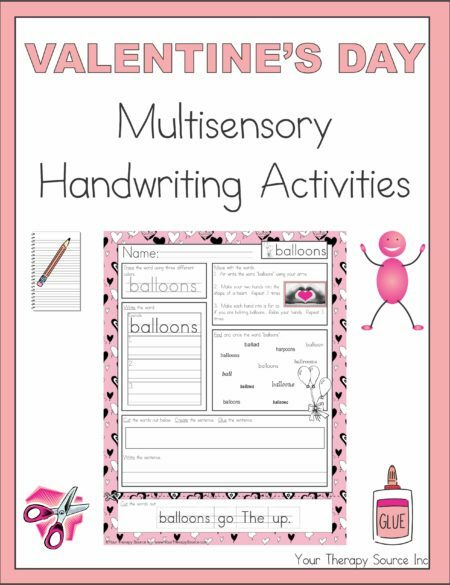 Let your students read, color, highlight, and problem solve while practicing handwriting skills. These are NO PREP, and there is no cutting or pasting needed. 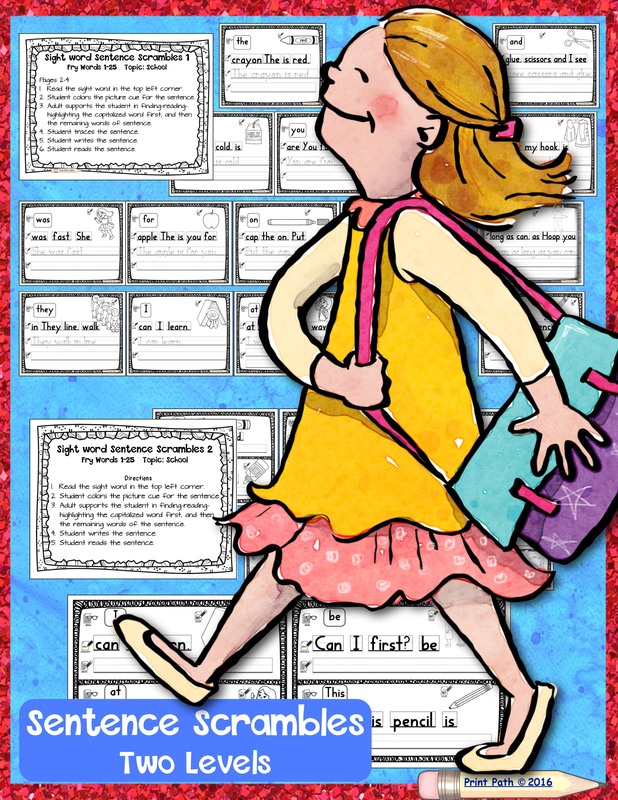 Sentences are based on school or back-to-school theme. 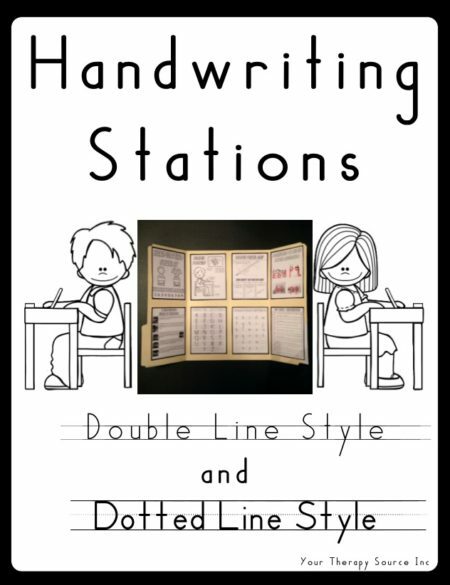 This product includes two leveled product files, which can be used to differentiate for your student’s skill level, or can be presented sequentially as students gain skill. 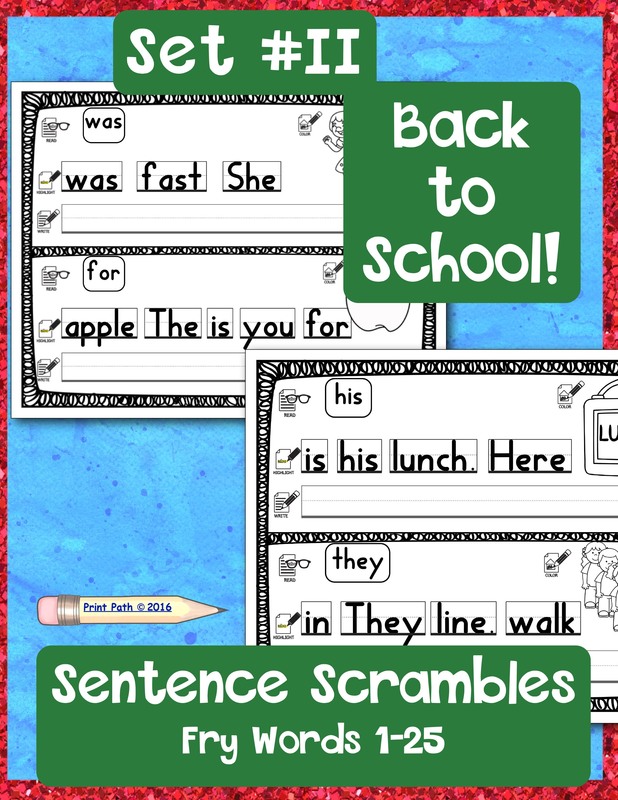 Sentence Scrambles I: Students read the target sight word, color the picture cue, highlight the words of the sentence in order, trace the sentence, and then write the sentence. 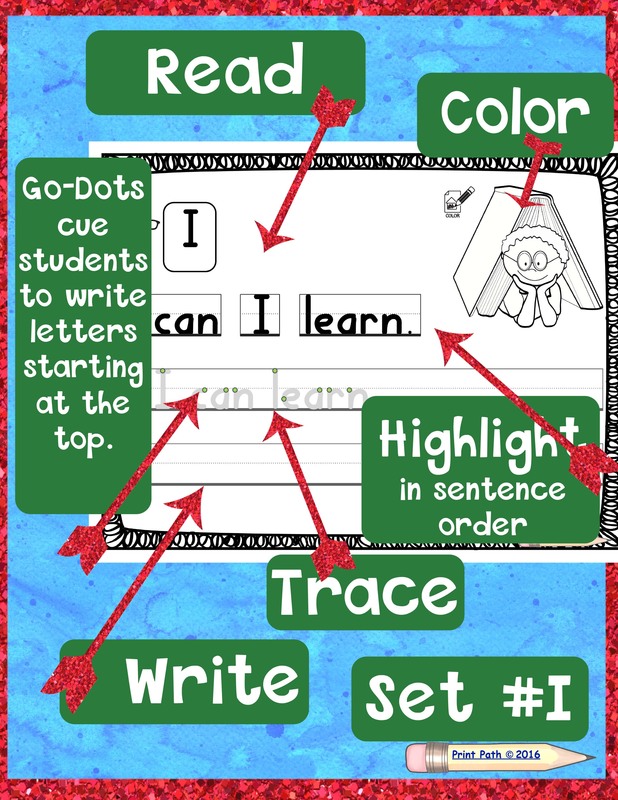 Go-Dots are provided to remind students to use conventional handwriting formations by starting letters at their top. 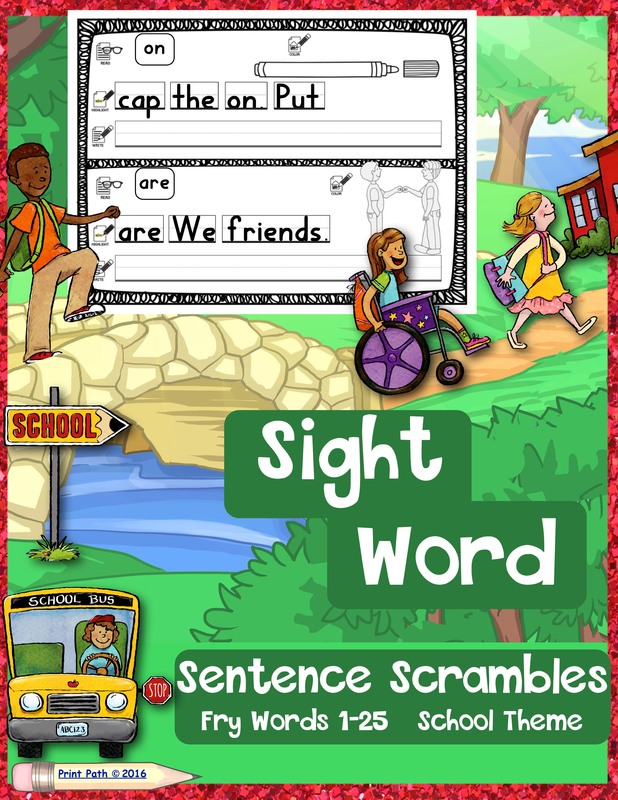 One page is provided for each of the first 25 high-frequency Fry words. Sentence Scrambles II: The same sentences are used again, but this set is more difficult. Students read the target sight word, color the picture cue, highlight the words of the sentence in order, and then write the sentence. Two high-frequency Fry words are taught on each page. 14 pages. 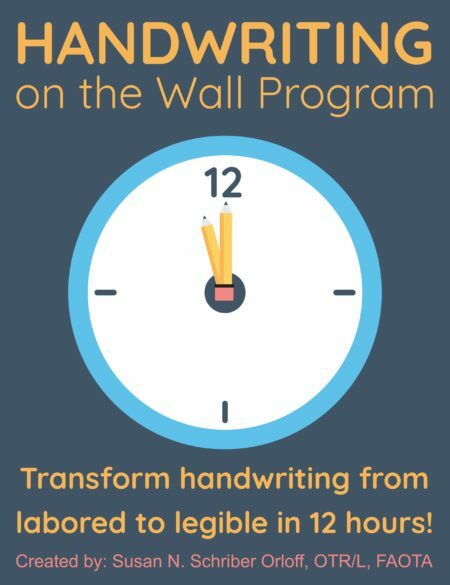 * PrintPath uses its own font that more closely resembles Handwriting Without Tears than Zaner-Bloser or D’Nealian. Letters have a vertical alignment, they do not push off the writing line, and it is visually evident that most lowercase letters are made with single strokes. Choose a destination folder to save the unzipped files.